The Economist is right - mishandling a crisis communication hits companies in the pocket, including Facebook. The Economist this week has some interesting thoughts on how crises affect companies. It has analysed eight of the most prominent calamities to affect major companies since 2010. It confirms something that we, as crisis communications consultants with more than 20 years’ experience under our belts, are very much aware of when it comes to crises. 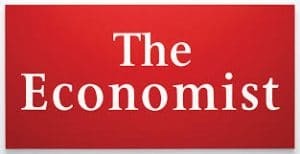 The piece goes on to point out that the leaders of many crisis-struck organisations are all too often “myopic,” and regard a crisis as “a public-relations blip that will not alter a firm’s operations or its competitive position.” The eight companies that the Economist looks at have lost a total value of some $300billion. This is due in part to fines but as the paper points out, “a big scandal distracts management, leads to other kinds of painful regulatory scrutiny and, if a firm has a stretched balance-sheet, forces it to shrink.” Although the Economist piece doesn’t mention United Airlines, it’s worth remembering that almost exactly a year ago, the airline suffered appalling publicity following the forced ejection of a passenger, which was mishandled in communications terms. Shortly after the event United’s shares fell 6.3 per cent in pre-market trading, slashing $1.4billion off its market cap of $21billion. All the more reason then, for companies – and other, non-commercial organisations – to have their crisis communications strategies all ready to roll at a moment’s notice. These days the risks facing all organisations are greater than ever. Software hacking and data breaches are increasingly common and are potentially disastrous. Staff are more likely than ever to whistle blow and although the scandal surrounding Harvey Weinstein and the #MeToo campaign have been pushed down the media agenda over the last few months allegations of sexual impropriety are still apt to make the headlines. Add to this the power of more vocal customers, and the power of social media and the risks are many and multi-faceted. We’ve seen a noticeable uptick in clients, old and new, coming to us for crisis communications training. Many have a crisis communication strategy in place, but they simply want to test it with the help of working journalists and update it. As we say, there’s no point in having such a strategy gathering dust in a drawer or in a file somewhere on someone’s computer. Being proactive is also important. Volkswagen, the Economist points out, managed to mitigate the impact of the emissions scandal by implementing an efficiency drive and promoting new models. But it goes on to note that like the other three public companies that feature in its survey it’s now valued on low profit multiples compared to its peers. Volkswagen – in the crisis management slow lane? If Volkswagen had acted as soon as its management had realised that there was something wrong with its public pronouncements on emissions rather than allowing the story to emerge and then struggling to control it afterwards, it could have been in a much stronger position today. Since the article’s publication Mark Zuckerberg has been very much on front foot, making statements and doing interviews. The problem is that this looks like a panicked reaction to the criticism of the company and the statements by large advertisers such as Unilever, whose CEO has talked about the “murky” world of digital advertising. As we say in our crisis communications training courses, you need to respond to events not simply to react to them. In other words, in a crisis, an organisation should follow its crisis plan so that it’s ready to handle problems, threats and criticism in a coherent, strategic way that shows that its management team is in control. If you’re just reacting, it means that you’re letting others, be they the media, regulators or consumers set the agenda and you’re simply running around firefighting. And that can affect your brand, your market share and, ultimately the value of your company. Facebook take note.